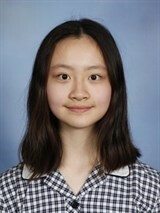 Hi, I am Anna, a Year 10 student from Melbourne Girls’ College. I enjoy the school life here so much since there are many opportunities for us to show our talents. 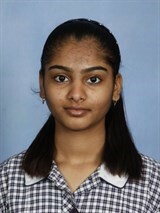 I have performed on the Harmony Day, in the Vocal Showcase, and a handful of assemblies. Our school also offers learning environment of high quality and we have many outdoor learning activities. For instance, we have learnt to overcome our fear of height during our Year 10 Camp. We did a giant swing of 18 meters and a flying fox. To improve our team working skills, we had canoeing and raft making as our water activities. MGC is a lovely place with lovely students, and nice and helpful teachers. I was living in Dubai from the past 13 years and I wished to move to such an environment where the girls can become resilient, well balanced individuals and contribute positively to their community. Melbourne Girls College gave me this wonderful opportunity. I am loving the experience I am having at MGC. The curriculum and the environment make me feel very welcoming. Recently, I was taken aback by a beautiful surprise by my English teacher. She had baked a cake for me on my birthday and I had celebrated this special day with all my friends together in the class. MGC is also providing me with various opportunities in different fields to boost my confidence and to enhance my skills. It has been a lovely journey! Melbourne Girl’s College is a very good school. All the girls here are so friendly, active and the environment here is clean and comfortable for studying. When I first came to MGC, I feel welcomed by everyone at the school. Additionally, the teachers and friends are very helpful. When I seek for help, my coordinator always there to assist me. Besides that, my homestay host is very nice. My own room is very lovely and clean. She helps me understand and learn new things about the Australian cultural and cuisine. 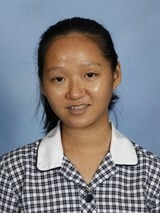 As a year 11 student, I really enjoy being here at Australia and Melbourne Girl’s College. 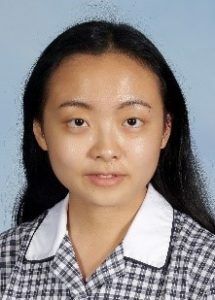 Hi everyone, I am Ruoqi (Rachel) Peng, now studying Bachelor of Engineering in the Monash University. In 2017, I proudly graduated from Melbourne Girls’ College. MGC has provided ranges of VCE subjects, since I am passionate in STEM field, I have chosen the EAL, MM, SM, Physics, Chemistry for Year 11 and year 12. The knowledge I have learned in MGC has helped me with building up a solid foundation and prepared me for my Engineering pathway. In MGC, I have understood more than just the knowledge from the textbook. The multicultural environment I was surrounded by in MGC also gave the amazing opportunity to collaborate with students from different background and to experience the beauties of other cultures. These two years in MGC has been an unforgettable memory, it not only strengthens my leaderships skills but also motivates me to achieve higher!